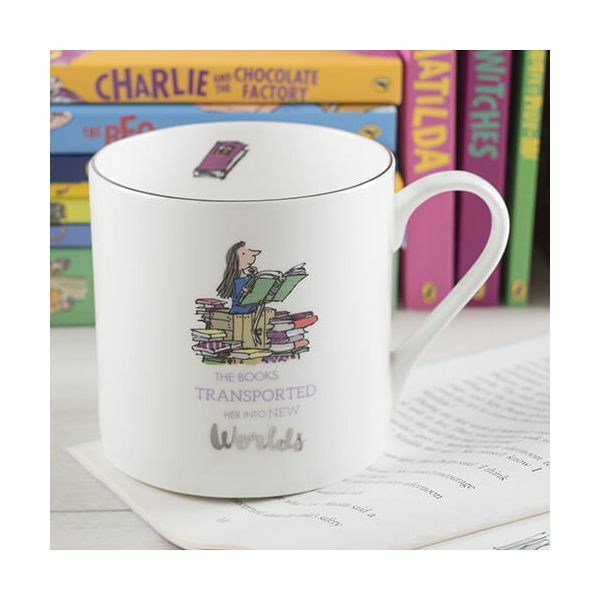 This stunning mug is ideal for serving tea and coffee and features Matilda studying a giant pile of books with the quote 'The Books Transported Her Into New Worlds'. 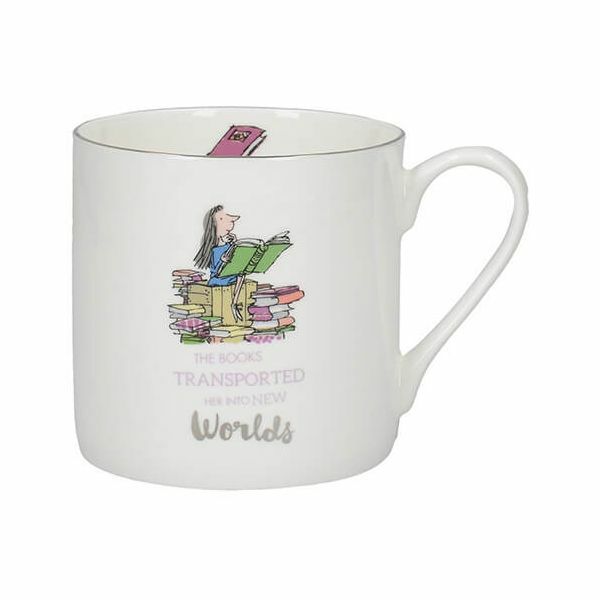 Made from fine bone china this illustrated story mug has silver detailing for a delicate finishing touch. 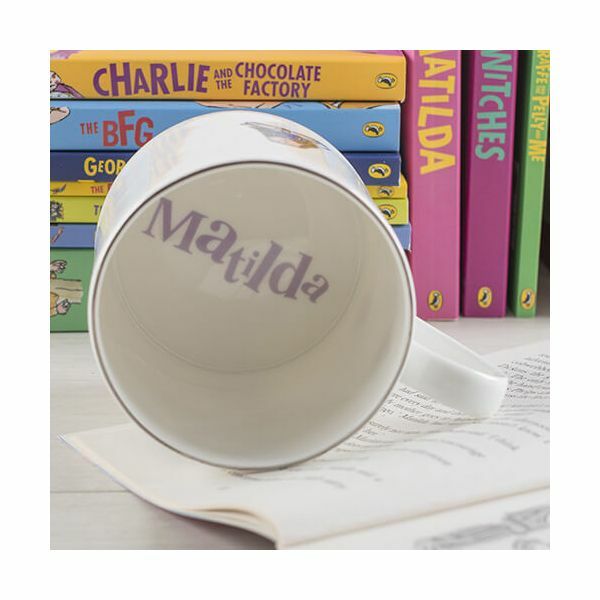 Illustrations appear both inside and outside the mug including the base.